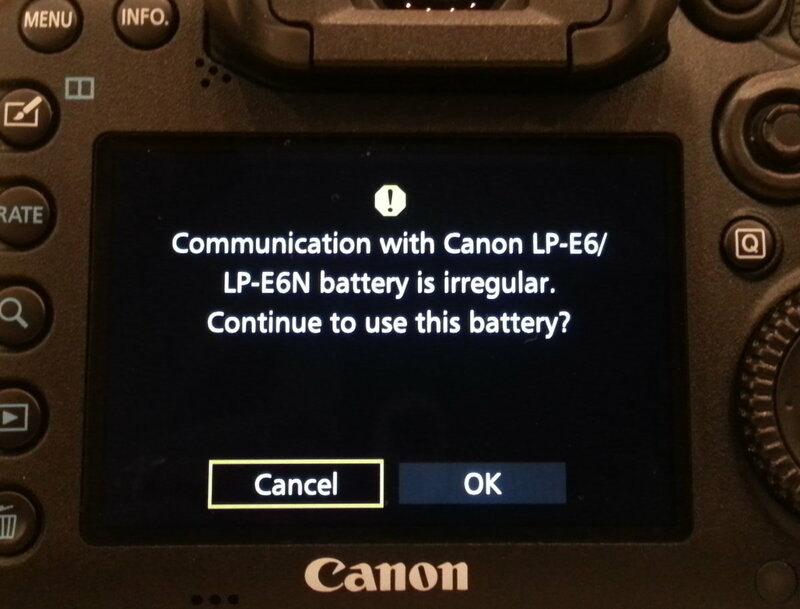 Honestly, I would have been plenty happy with my original Canon 7D for quite a while. The primary reason I upgraded was because the 8-year-old Canon 50D that I use as my second body is really showing its age, especially when used for sports & wildlife. Since that's the body that my daughter uses when we go birding, I wanted to get her something that would help her live up to her potential. 9 AF points and a wonky exposure meter just don't cut it. With the 7D2 in my hands, she can use my 7D. I haven't decided yet whether I'll keep the 50D to use as a remote sometimes, or if I'll just sell it. They're going for $250 on eBay these days. 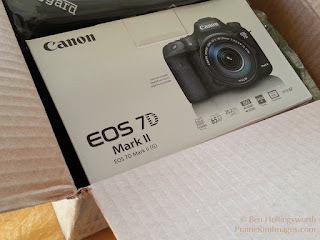 I got my Canon 7D mark II as a limited time package deal from B&H, where it came with a Canon PIXMA Pro-100 printer (which retails for $400 by itself), a pack of 13x19" paper, a camera bag (as if I need another one), and a 32GB SDHC memory card. All that, after rebates, cost only $1200, which is about $300 less than the typical price for just the 7D2 body by itself. I also ordered the Canon vertical battery grip, two spare batteries, and a car charger, but those came from Amazon, and haven't arrived yet as I write this. It takes longer than expected to get a new camera set up to my liking. The 7D2 has more menu options than the 7D did, and I haven't done this in about six years. Out of the box, the default configuration was frustrating. I managed to get many of the most important settings dialed in before the wrestling meet, so that wasn't too bad. I've still got a ways to go, though, before I really feel like the 7D2 is a subconscious extension of my arm like I do with the 7D. The 7D2's 10 fps frame rate is noticeably faster than 8 fps on the 7D. With the camera in rapid-fire mode, I had trouble letting up on the shutter button quickly enough when I only wanted one shot. I can't imaging using a 1DX with 16 fps! Two little features make me happier than they probably should: The silent shutter mode is quite a bit quieter, and will be nice for sneaking shots of the kids. Also, the mode dial on the top left now has a lock button so it won't get accidentally rotated when you bump it. I can't tell you how many times I've ruined shots because that dial got bumped on my 7D. The shot buffer isn't big enough for raw+JPEG, 10 fps, with the slow SDcard that came with the camera. I kept filling my buffer at the wrestling meet and had to wait many seconds for it to flush to the card. I don't think I missed any important shots because of it, but it definitely affected how I shot certain action sequences. I remember now why I spend money on fast CompactFlash cards. I did all my initial testing using the SanDisk 32GB SDHC card that came with the camera. It's advertised as having an 80 MB/s read speed, but I had to hunt far & wide to discover that its write speed is only a paltry 10 MB/s. My opinion is that it's so embarrassingly slow that they didn't want to publish it. By comparison, the SanDisk Extreme CompactFlash cards have write speeds above 80 MB/s. I'm sure the card would be fine for JPEG-only, or for a slower frame rate. It may even be acceptable for wildlife, where the action occurs in short bursts lasting well under one second, and then nothing happens for a minute. For sports, this card will be for emergency use only. When I attach my Kenko 1.4x teleconverter between the 7D2 and my Canon 70-200/2.8IS lens and shoot in Av mode, the camera's exposure meter doesn't seem to realize that there's a teleconverter there, and overexposes everything by about 1.5 stops. I had to adjust the exposure bias to -1.5 to compensate. I never had to do this with the original 7D; it worked perfectly with the Kenko teleconverters. I haven't tried my older Kenko 2x teleconverter yet to see if it behaves the same way. Without the teleconverter, that lens works perfectly. The built-in grip on the 7D2 is thicker than that on the 7D, which makes it more comfortable for my medium-to-large hands. My Canon battery grip hasn't arrived yet, but I'm anxious to see how that compares to the off-brand vertical grip that I use on my 7D. I've read that the 7D2's vertical grip is more ergonomically shaped than the 7D's. I'm having trouble getting used to the new method of zooming in on images during playback mode. On the 7D, as on all older Canon cameras, the center and right thumb buttons at the upper right corner of the back panel would zoom out & in. On the 7D2, there's a zoom button along the left edge, and once you're in zoom mode, the index finger wheel (by the shutter button) controls how far in you're zoomed. One advantage of the new system is that you can zoom in to a preset zoom level with just a single button press. I've just got about nine years of muscle memory to overcome, which won't be easy, since I still own two cameras that use the old method. The 7D2 works fine with my Canon-branded LP-E6 battery from the 7D, but it's not fond of my off-brand Maxtek LP-E6 batteries, which have worked perfectly in the 7D for six years. The 7D2 claims one of the three Maxteks is dead, even when full. With the other two, it warns that communication with the battery is irregular, but then seems to work OK anyway. 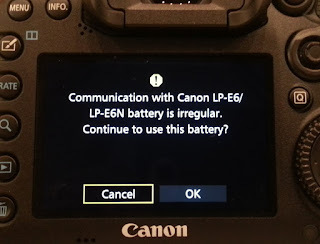 I'm still waiting for my off-brand LP-E6N batteries for the 7D2 to arrive. 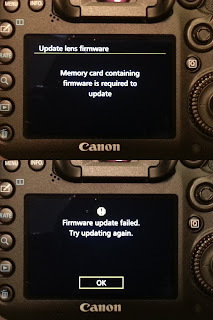 When I put my old, manual-focus Super-Takumar lenses on the 7D2 with my electronic-equipped M42 adapter, the camera insists on updating the lens firmware (huh? ), and will go no further. When I attach my Micro-Nikkor AIS lens with its electronic-equipped adapter, it works without complaint, but the 7D2 refuses to record the hard-coded focal length & aperture that the adapter electronics are supposed to provide. When I use a manual lens with a non-electronic adapter, everything works normally, but no differently than with the electronic Nikon adapter. The hard coded aperture setting helps me identify which manual lens I used for a photo, so I'm going to miss that feature. As far as I can tell, nobody makes a split-image focusing screen for the 7D2. I'm in love with the split image / microprism 7D focusing screen from KatzEye, but KatzEye has gone out of business, and nobody seems to make an old school focusing screen for the 7D2. Has using manual focus lenses fallen out of vogue? The 7D2 was release almost 18 months ago, so manufacturers have surely had time to create one. I've got dozens of manual focus lenses, so I'll be very bummed if I can't fix this. If anybody knows of a source, PLEASE notify me! 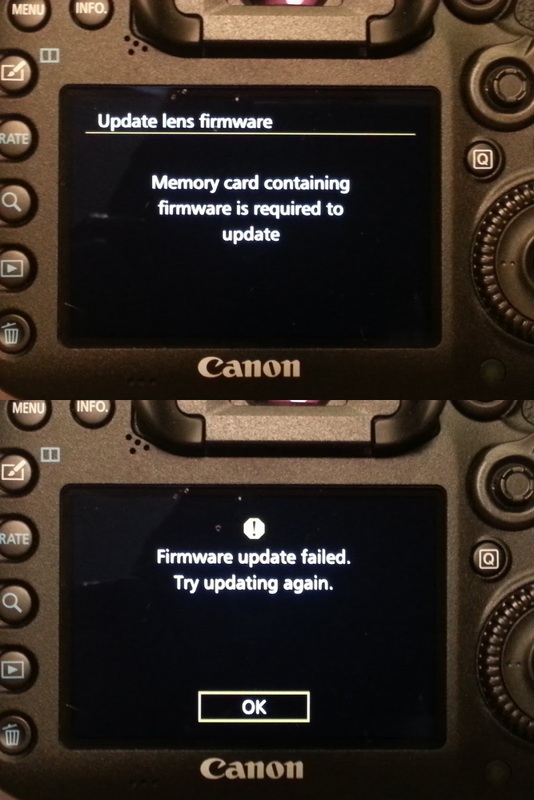 Until then, I guess my 7D will still stay in active use. In general, I'm really not at all impressed with the 7D2's ability to play nice with non-Canon products. The original 7D was much more accommodating, and I'm more than a little disappointed by the change in philosophy. I guess that's about all I can think of that I've run across so far. I'm sure there will be more, but I won't bore you with all the details. Hopefully, this list of gotchas will help reduce the amount of surprise that future buyers experience. If you'd like to share your own surprises with buying a new camera, please do so in the comments below.